Joe Cilia began his football career as a teenager at Rabat F.C. who introduced him in the First Division in 1953/54. He played 30 league matches for Rabat F.C. before joining Valletta F.C. in season 1956/57. 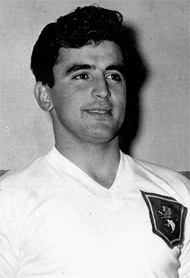 As a Citizen, Joe Cilia won all football honours, including twice the title of Footballer of the Year (1957/58 and 196/64). Joe Cilia's polished play earned him many international caps in the first years of international matches for Malta. 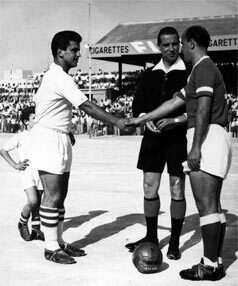 At the peak of his career, Joe Cilia emigrated to Australia, where he continued his playing activity as a player-coach to Melita Eagles (the Maltese team) and as a player with Sutherland and Corinthians (1964-1972). He joined Valletta F.C. in 1971/72 for another two year spell. During his 19-year career at top level football Joe Cilia was a keen student of the game and he was determined to put something back unto the game. Joe won the Westin Dragonara Award in 2003 and Gieh ir-Rabat in 2004 in appreciation for his 48 years of continuous contribution to his only passion, which is football.